copy of News-Press coverage, and pictures of our project with Girl Scout Evelin Rienzo of Troop 292. It’s been a great experience to partner with the Girl Scouts to build, decorate and install our second Free Book Box together. We really admire Evelin's design creativity and the girls' eagerness participating in the construction of the box. We are excited to know that they share our mission: “To build family and community literacy one book at a time” by providing free access to a variety of books, especially for children. Note the picture of the Little Free Library patch on Evelin's vest. In addition, SalusCare is holding a Book Drive beginning June 1st to collect gently used books! The donated books (children’s books and adult fiction/non-fiction) will be given to And Literacy for All. And Literacy for All provides literacy resources, education and programs to enrich lives and build community. 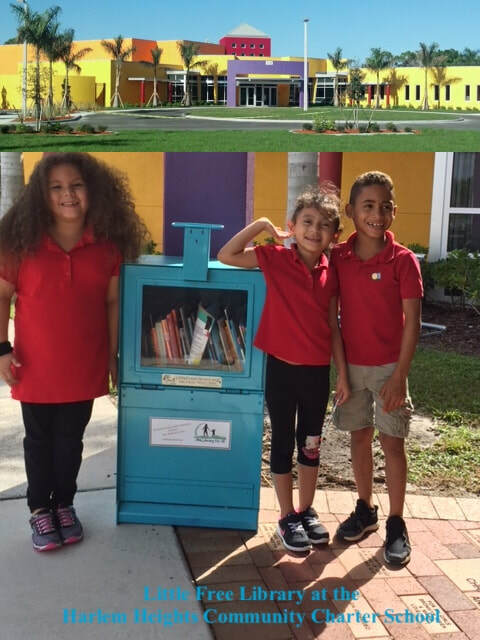 In addition, they are installing Little Free Libraries all across Lee County, and they have installed one on SalusCare's Ortiz Campus near Building G (pictured here) In this era of e-readers, Kindles and iPads, we all have books at home gathering dust. Donate your books today at any SalusCare campus! 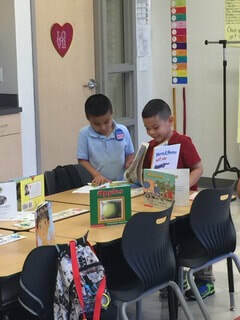 Second Graders at Harlem Heights Community Charter School are exploring their new summer reading books provided by And Literacy For All during the final Free Book Friday for this school year. 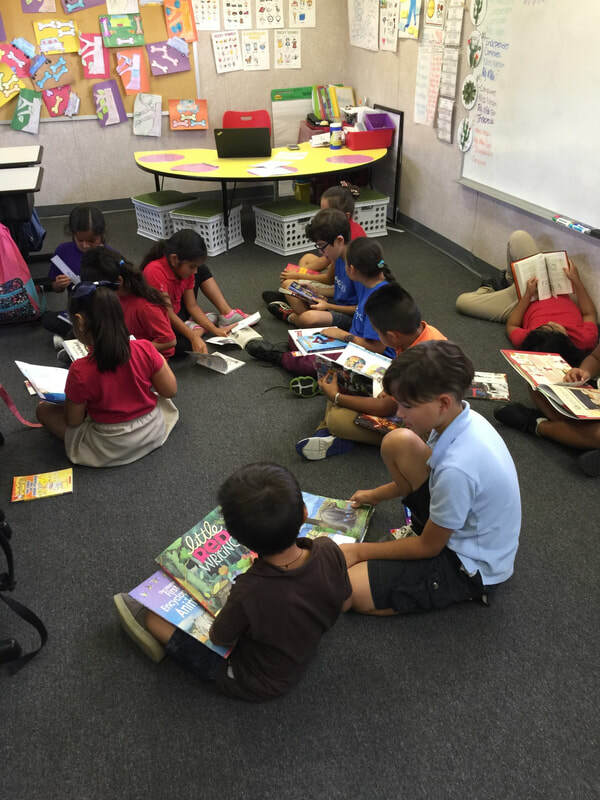 We are looking forward to sharing more books when you come back for third grade after the summer break. Here's a look at our Free Book Box production facility and warehouse. 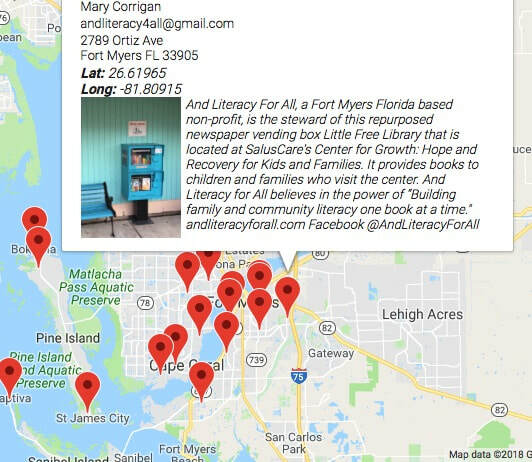 We are in the process of repurposing 30 or so News-Press vending boxes to be placed around Fort Myers in our continuing effort to increase access to free books. You might notice that we also repurposed our garage. Kids at The Quality Life Center decorating their Children's Home Libraries and choosing their first set of free books. Redistributed more than 700 free used books at the Southwest Florida Reading Festival as a part of our "Books for All" program. 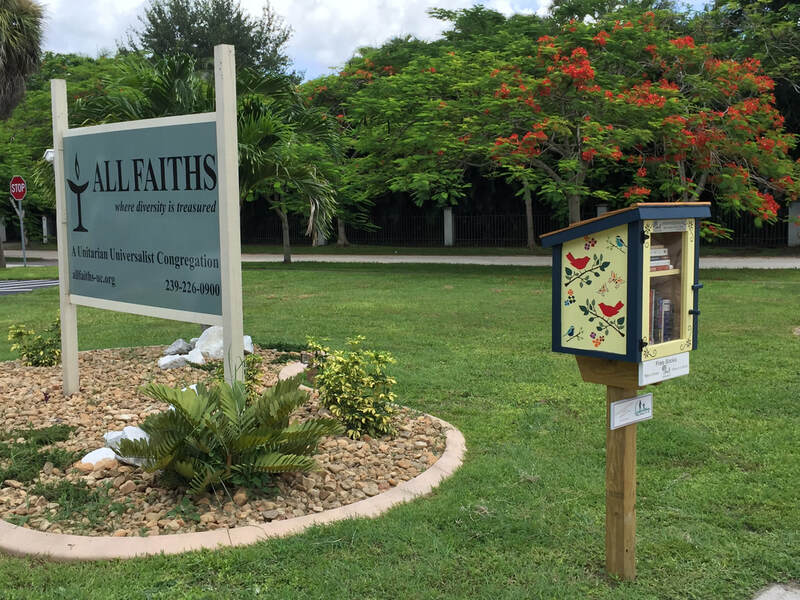 This Free Book Box was donated by And Literacy for All to All Faiths Unitarian Congregation and placed on thier property for public use. All Faiths in turn "paid it forward" by donating funds for our next Free Book Box to be placed in a disadvantaged Ft. Myers community. 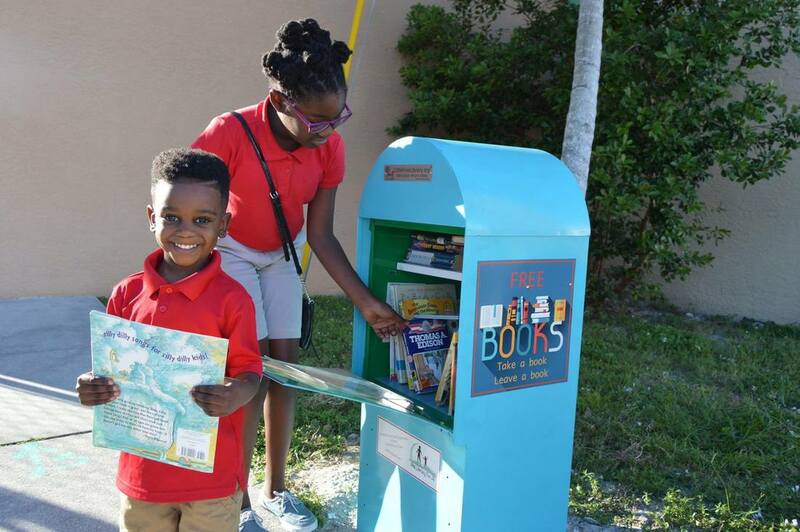 Children at the Harlem Heights Community Charter School are ready to choose their favorite titles from the Free Book Box at the entrance to their school. First Free Book Friday at Harlem Heights Community Charter School. 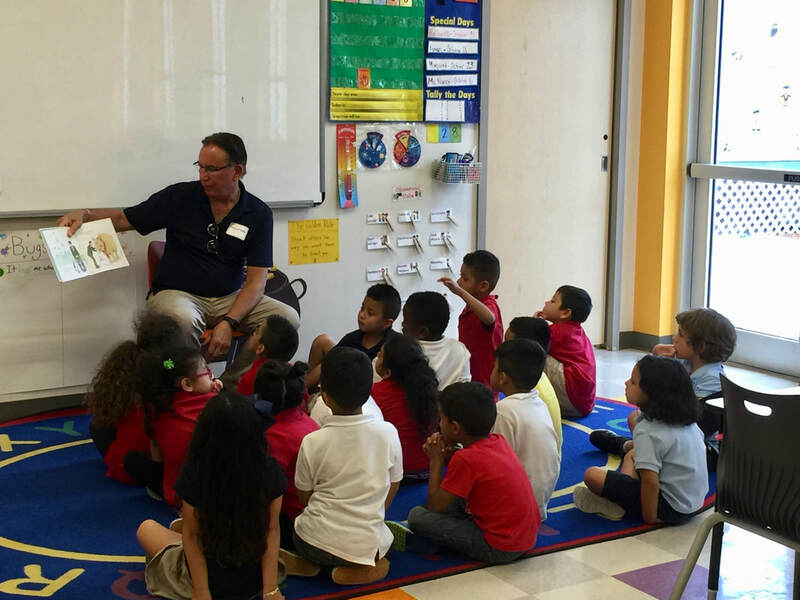 Each child in the kindergarten class went home with a free book to keep, read, and enjoy. Kids were very excited to have the opportunity to choose their own book. Next week is the first graders' turn! Children at the Quality Life Center are enjoying their pick of free books from our Free Book Box located in front of the Center. Kids love to be read to. 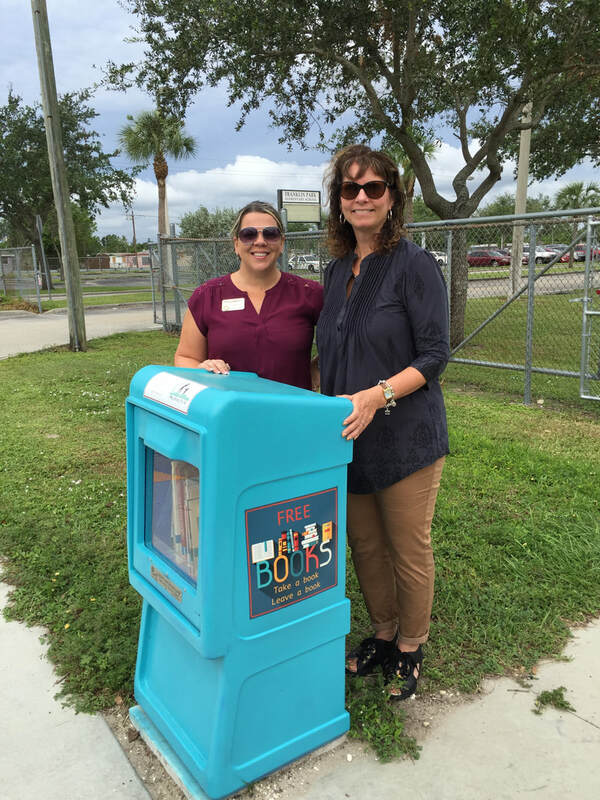 Dr. Bethany Quisenberry, Principal at Franklin Park Elementaty School, is pictured with Mary Corrigan at the installation of our Free Book Box. 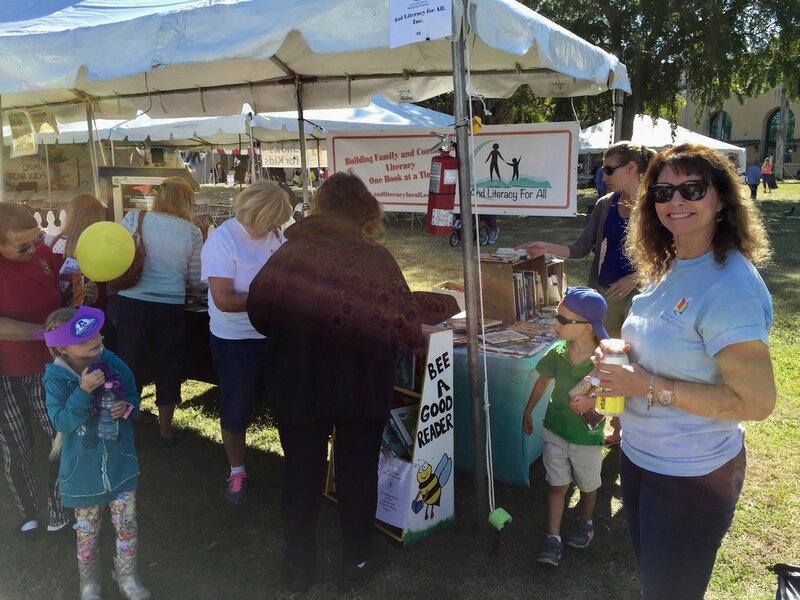 ​And Literacy For All would like to thank hometown authors Brian and Lauren Franz for generously donating signed hardcover copies of children’s books from their Zoo Avenue series. 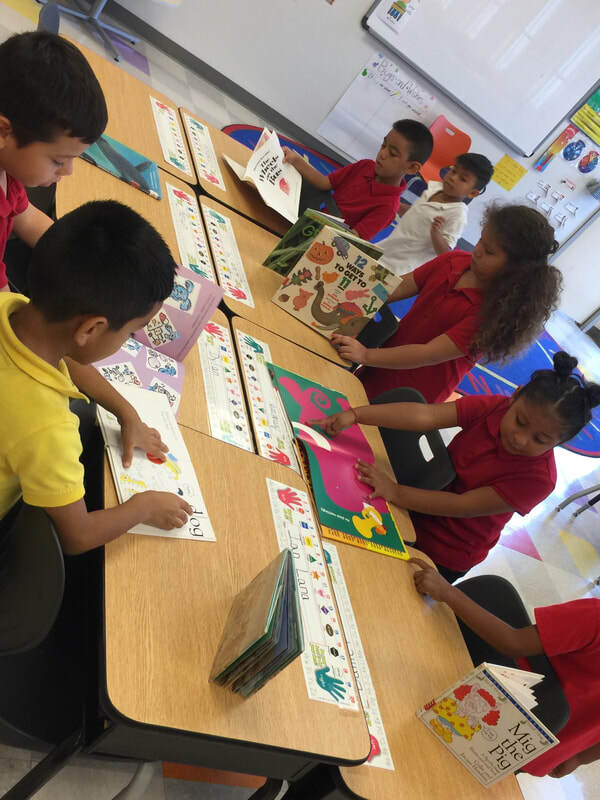 We read three of the series to groups of children at Harlem Heights Community Charter School during our weekly Free Book Friday events this month. Everyone enjoyed these engaging and fun stories. Afterward, the books were given to each teacher to be part of their classroom libraries. Also, each child got to choose an age appropriate book to take home to add to their home library.